It began as a family vacation to Los Angeles and the 1984 Summer Olympics. That was nine Olympics ago. Over coffee in a South Hillsborough restaurant, we traveled the world — from Los Angeles to Barcelona to Beijing to Rio. In the travels, it was an endless summer, even if it technically wasn’t in places like Sydney, Australia. Ralph and Barbara Greenlee, living in Sundance for the past 37 years, have been running a marathon of sorts since 1984. They have traveled the world since that year, when Los Angeles hosted the Summer Olympics. 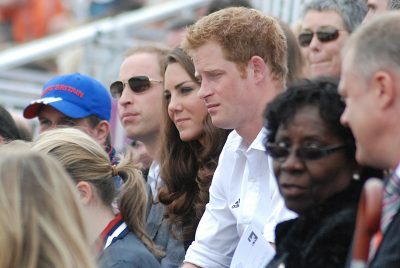 They have been to every Summer Olympics since. In 1984, there was no web to use for research and planning. The Greenlees had never been to an Olympics before. They had to learn on the fly. Seriously, where do you go to buy tickets for an Olympic event? Television coverage gives an appearance of all things in one place, centered in the Olympic Village. But that’s not how modern Olympics work. Venues can be 100, even 200 miles apart. “We got there and didn’t really know what to do,” Ralph continued. “And there weren’t all of the rules back in ’84 that there are today. Some people think that it’s like going to the movies but it ain’t. It just ain’t,” he concluded with a chuckle. Even today, there is scant information on how to successfully navigate the Olympics as a visitor to a global event in a foreign country. 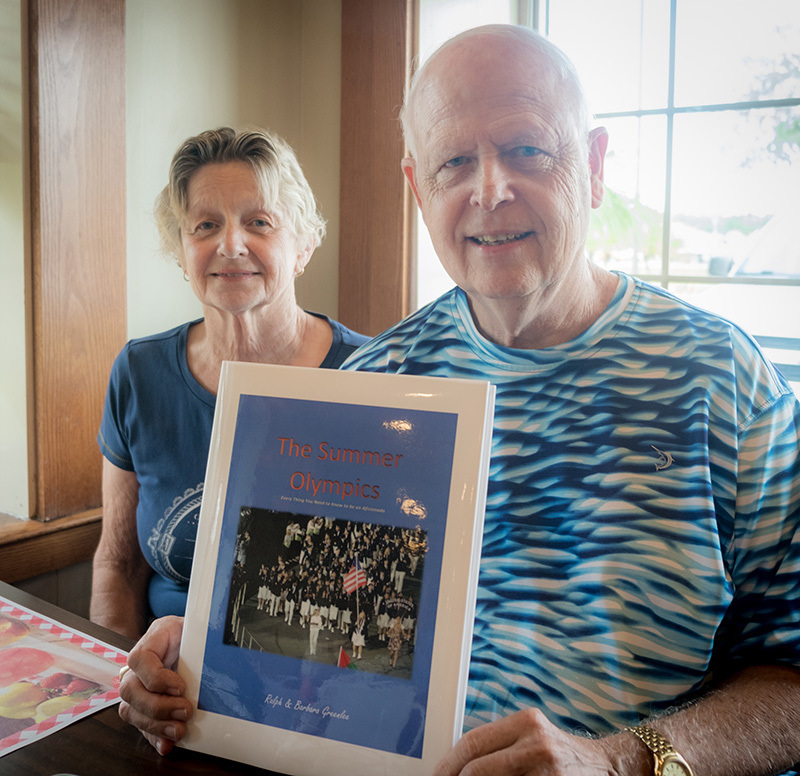 Ralph and Barbara have experienced it all: from finding armored riot squads outside of their hotel, to venturing near the border of North Korea to meeting and chatting with Olympic stars, to seeing members of Britain’s royal family (one of Barbara’s favorite pastimes) and once accidentally finding themselves in the middle of an Olympic event in Sydney. “Just before the 2012 Olympics (in London), we started thinking about all of our file folders filled with our experiences,” Ralph said. That is when they began thinking about — and working on — their book. Four years of work later the book is now a reality and up to date: it includes last summer’s Olympics in Rio de Janeiro. For the moment, with the book just recently published, it is available through Ralph’s company, Ranch Royale Media, available by e-mail at ralphgreenlee@hotmail.com, or by calling 813-633-3044. To successfully navigate a modern Olympics, a global event that dwarfs even the Superbowl in sheer size and scope, people need to know how things work. Ralph is hoping his book will help those with aspirations of going — along with those who dream about it. The book is chock full of beautiful imagery to carry both away. They are already preparing for the 2020 Summer Olympics in Tokyo but they have their eyes on September of this year when the 2024 Summer Olympics host city will be announced. With both Los Angeles and Paris in the running, they are hoping for the former, and a return to the city in which they began on what would be their 40th anniversary of Summer Olympics. In their marathon of nine straight Summer Olympics, traveling the world in the process, although they have long since learned the ins and outs of attending it, the question still rises of how one lands in the middle of one of the world’s largest events, in an unknown city, and know where to even begin? It would seem overwhelming. It certainly helps that Ralph traveled extensively during his career, racking up three-quarters of a million miles in airline points on Delta Airlines alone. “I probably have five million miles if I added up all of the airlines,” he said. Their book shares stories and inside information but more importantly is their attitude. Ralph and Barbara approach the world and new adventures openly, warmly, yet with pragmatism. When it comes to international travel, those who expect the best usually find just that: the best in nearly all people. They have great praise for many Olympic volunteers that they have met all over the world. Theirs is a world of optimism, enhanced by an event that is designed to bring the world together, if even for 10 or so days. Ralph and Barbara’s book allows you to travel the world, one Summer Olympics at a time, in 217 pages and 280 full-color photographs. The information they share brings to light some of the Olympic secrets possessed only by a rare few. But most of all, it shares the pageantry and humanity. Because in all of it, through global and personal crises, they have witnessed acts making sports’ history, acts of heroism and generosity. They have witnessed acts enough to restore faith in humanity. For information about the Greenlee’s book, The Summer Olympics: Everything You Need to Know to be an Aficionado, e-mail ralphgreenlee@hotmail.com or call 813-633-3044. According to Ralph Greenlee, no other book like theirs exists. 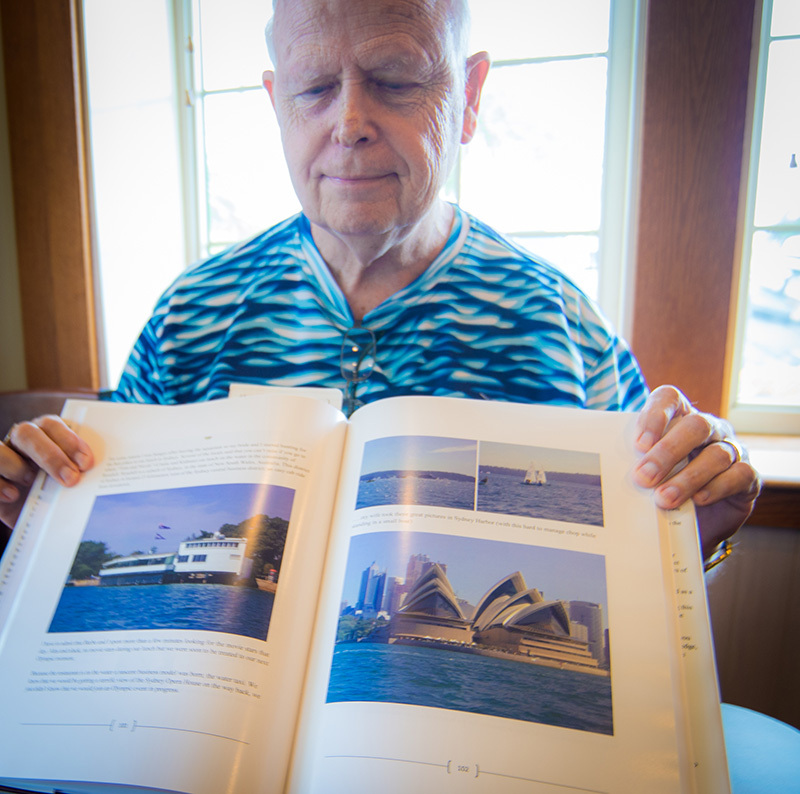 It is 217 pages with 280 photographs; hardcover with high-quality paper.